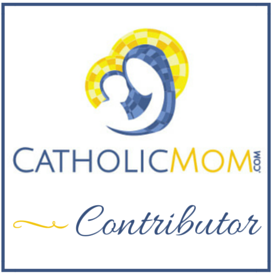 Yesterday was CatholicMom.com’s Small Success Thursday, and when I read the four posts ahead of mine, I saw a common theme: hardly anyone could easily come up with their successes. And I’d had the exact same problem when I sat down to write my own post. This really made me stop to think about why this might be so. Is it the time of year? Were we all harried by Halloween and the idea that IT IS NOW CHRISTMAS SEASON SO HURRY UP AND GET TO BUYING ALL THE THINGS!!? Is it just the time change messing with us? Or is it that Satan loves to keep us thinking about the negative in our lives and helping us focus on the things that make us feel like failures? I happen to think it’s the latter. Right now, there are a lot of attacks going on against Catholics and traditional Christian beliefs. It’s everywhere, and it’s a time when we must work harder to explain ourselves – and work harder to keep our spirits up. When we remember that Christ is our Hope, it becomes easier. And to keep that in mind, it’s important to pray daily. But here’s the thing: because this all takes effort, we don’t always do it. 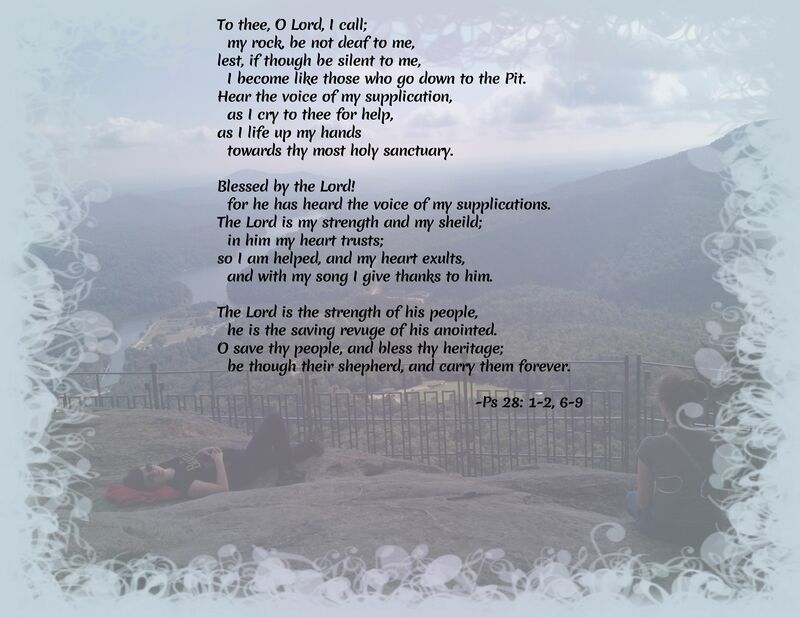 It’s hard to pray when you suddenly and inexplicably start to feel depressed and discouraged. It’s hard to pray when all that’s going through your head is a voice that tells you what a failure you are. You aren’t losing weight like you planned. Your kids aren’t listening to you. You think you’ve planted seeds of faith and it didn’t stick. They’re going to leave the Church the moment they’re out the door. Your husband couldn’t possibly think you’re attractive any more – have you taken a look at yourself? You’re so lazy – why do you go online when you should be cleaning or doing laundry? Loser. LOSER. LOSER!!! These are not things God would tell you. EVER. This voice that pops up when we’re most vulnerable, the one that tears us down, is Satan. He hates if we’re happy, and when we try to pull closer to God, he pulls just as hard the other way. When we draw close to the Church by praying and attending Mass and availing ourselves of the Sacraments, Satan grabs hold of us and starts pulling us in the other direction as hard as he can. How can we resist this pull? The only way we can is to ask the Lord for help. He is the only One Who can overcome Satan. We cannot do this ourselves; we are far too weak. Remember that Satan is an angel; he’s far more powerful and intelligent than we are. But God is more powerful, and He triumphs over Satan. When these doubts start crashing in, be not afraid! Pray harder, and God will answer with His own strength and power. ← Small Success Thursday: Mass and Angels and Homeschool – Oh My! Words to remember for sure. I often get caught up in the “garbage” you know? I cling to prayer though. Always. I am, however, so close to what’s happening around me that I forget that it’s not really the people involved that are angry and upset…it’s Satan. It’s Satan because the closer I NEED to be to our Lord, the more the hurricane of garbage by way of negativity, anxiety and stress swirl about me. It’s my Catholic community online that reminds me of that. Thank you for highlighting it here!